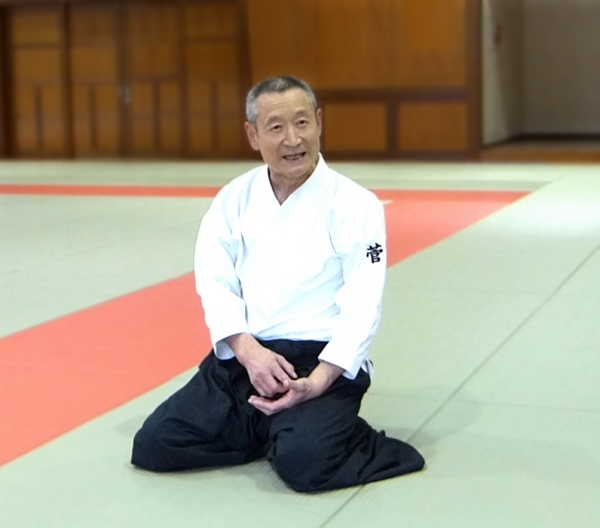 Living and training in Japan we would often say “Kobayashi in the east and Suganuma in the west” – referring to the large networks of Aikido schools established by Yasuo Kobayashi Sensei in eastern Japan and Morito Suganuma Sensei in western Japan. 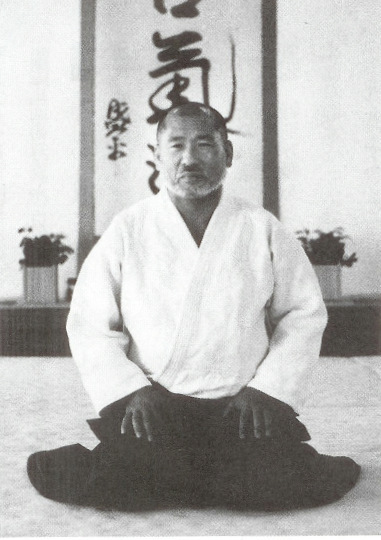 In 1970, shortly after Aikido Founder Morihei Ueshiba passed away, Suganuma Sensei was dispatched to Fukuoka by Ni-Dai Doshu Kisshomaru Ueshiba as the Aikikai’s representative for the Kyushu area of Japan. Today the network of schools that he established boasts some 70 dojo and more than 4,000 students. 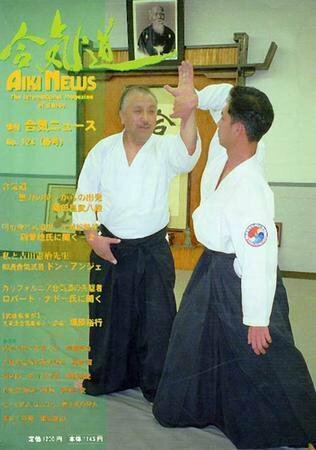 This is the second part of a two part interview with Suganuma Sensei that originally appeared in the January 2005 issue of Gekkan Hiden (月刊秘伝 / “Secret Teachings Monthly”), a well known martial arts magazine in Japan. You may wish to read Part 1 before reading this section. “Shiai” (試合 – “competition) is “shiai” (死合 – ”joining in death”) – an exchange of lives. Q: Were there many young people among the students at that time? A: Yes, there were. The Giants coach Hiroshi Arakawa (*Translator’s note – 荒川博, mentioned here）, Hiroshi Hiraoka (*Translator’s note: 平岡煕 – the “father of Japanese baseball”, mentioned here), and Sunao Sonoda (園田直), who would later become the Minister of Health, Labor and Welfare, also received instruction from O-Sensei. Coach Arakawa was extremely enthusiastic about his training and would run to training in the morning (laughing), we would train together. 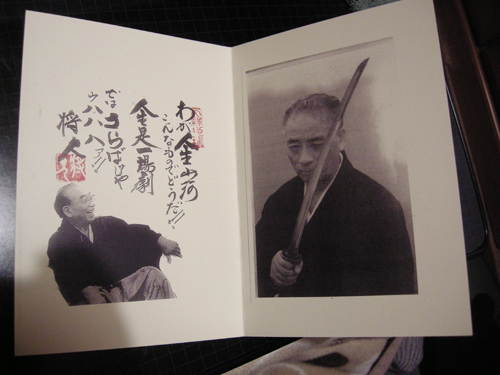 Arakawa-san published a book called “Can you become Sadaharu Oh?” (君は王貞治になれるか), and most of what he wrote there are things from Aikido. It must have had a great influence on the way that he thought about baseball. Q: Is there something in particular that you remember from your days as an uchi-deshi? A: Sensei would speak very quickly in a typical Wakayama accent. The long time students were used to it, but it was difficult for me to understand. One day in the midst of a discussion at the dojo he directed me to do something, but he spoke so quickly that I couldn’t really understand what he meant. I could only understand that he said “go get something“. (laughing) But O-Sensei didn’t like to be asked to repeat himself, so when I cocked my head in puzzlement he shouted at me “read the situation!” (気を読め!). So I said “yes”, but when I brought the usual scroll with the symbolic portrait that I talked about earlier he yelled “Not that!” angrily. (laughing) But after that his mood shifted suddenly and he said “I used to have a body like this…”. When O-Sensei became angry he would become really angry, but he would cool down swiftly and he never held a grudge. His mood changes were sudden. A: That’s right. In any case, one really couldn’t ask “what was that?” while he was speaking. I was told, “When you’re told to do something you must react immediately, if you can’t do that then you’ll never be a fully qualified Budoka!”. One can’t just ask carelessly “Sensei, what did you mean?”. That was really a major blunder. Also, and I remember this clearly even now, he was very strict about time. At demonstrations, even from quite a bit of time before, he would start asking “Are we still OK? Will we make it?”. Also when we would go out someplace he’d say “Always leave with the intention of riding on the previous train”. If there was a train that left at exactly nine o’clock then we’d have to be on the platform in time for the train that left just before that one. My sempai would say “Ichi Kisha Mae” (一汽車前 – “One Train Ahead”). Since one never knew what might happen on the way there we would always make sure that there was extra time – even now I still teach this lesson. A: Yes, I often accompanied O-Sensei as an “otomo” (“attendant”) when he went out. As I recall now, there was one year that we went to Iwama near the Obon season. Since the steam train was crowded I boarded first and went to look for an open seat, but somehow I lost sight of O-Sensei. (laughing) At the time I hadn’t been an uchi-deshi for very long, and I thought “Oh no, what a disaster!” – though I looked left and right, back and forth, I couldn’t find him anywhere. After a while, at a loss as to what to do, there was nothing else left but to call Hombu Dojo – “Idiot! O-Sensei’s already come back!”. (laughing) I got a vigorous scolding later on. Q: (laughing) I there something that the Founder said that was especially memorable? A: One day during morning training one of the beginners said “O-Sensei, instead of always doing the same things, could you teach us some of the secrets every once in a while?”. As I was thinking “he’s going to get angry now…”, O-Sensei just laughed and smiled “I show everybody the secrets everyday”, he said. In other words, the secrets are not any special kind of thing, he meant “the secrets are in the day-to-day repetition”. When I heard that I thought “that’s right!”. Every day’s training was certainly a repetition of basics, but it is because they are important that we repeat them. “When you are lost, return to the basics”, some people say, and even today I keep those two things in mind when I train. Q: Was there some times that the Founder became particularly angry? A: Rather than “angry”, I would say that his tone of voice became strongly remonstrative, and that was with regards to competitive contests that tested techniques against one another. “Shiai (“competition”) is “shiai” (“joining in death”), it means an exchange of lives, so it’s not something to participate in lightly for the comparison of strength.”, he would always say. O−Sensei himself lived through the scenes of many battles, so it may be that he was unable to approve of contests for the comparison of strength in this peaceful era. Q: I have heard that you also practice Zen? A: Our family originally belonged to the Soto Zen Buddhist sect, so I had that connection, and by chance I had a connection to the Zen Master Shinryu Umeda (梅田信隆 – former director of Soto Zen Buddhism), so I became a student in Showa year 56 (1981). is the mind of enlightenment. Q: How is your training going? A: I have learned many things from both Zen and Umeda Zenji. When I first began I was told “value the present”. “There is no yesterday or tomorrow, what is important is right now. The continuation of the present becomes your life, so make the present the most important.” – I remember those words even now. 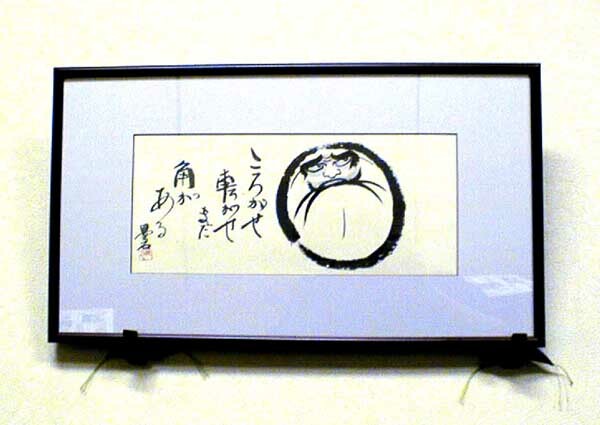 Q: What is important for you in the transmission of Aikido as Budo? A: The technical is important, of course, but first what is important is one’s mental attitude. One’s everyday speech and conduct, their attitude – the importance of “one strike with the hand, one throw with the legs” (一拳手一投足). Also, in the old dojo one day O-Sensei suddenly asked me “Suganuma, do you understand what ‘serious’ is”?” (真面目 – “majime”) – “‘Serious’ means to tighten the gaps – because idiots leave them open.”, I was told. At the time I didn’t really get it, but now I think that it is to correct oneself, regulate oneself, and that from this stems mastery of the etiquette of Budo – that the carriage of one’s body becomes without openings. Q: In the later years of the Founder the words “softness” and “harmony” were often used, were those also used to make one think of Aikido in terms of Budo? 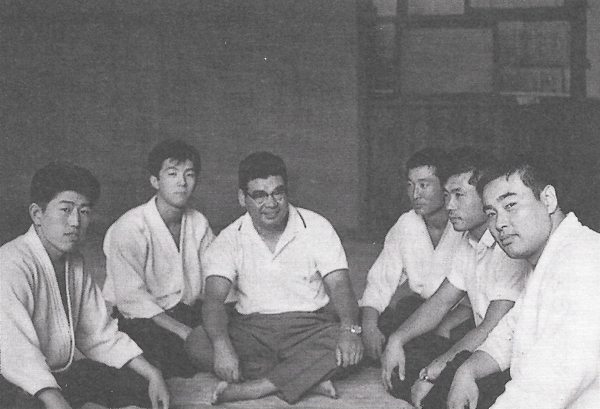 A: I think that for O-Sensei Aikido was always Budo. 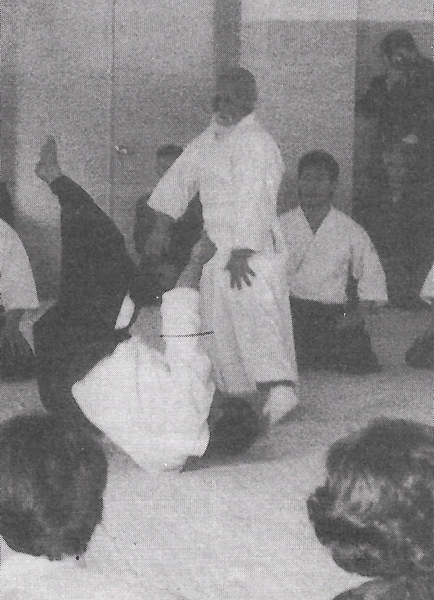 Sometimes when he looked in on training he would see the students throwing in Kokyu-nage and say “People don’t fall over that easily!”. (laughing) Of course, forced struggling, or throwing with needless violence is just dangerous. 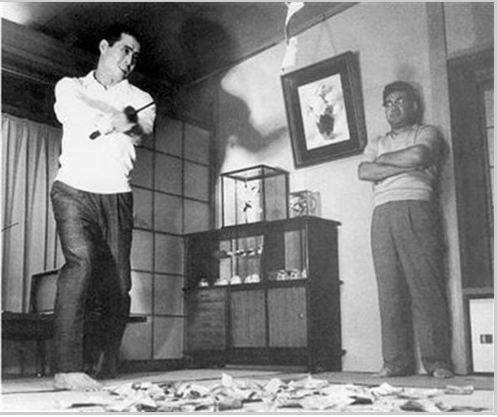 Osawa Sensei (大澤喜三郎 – Kisaburo Osawa) would say “Strong and stupid are different. One’s sensitivity cannot be stupid.”. For that reason, just falling even though the technique is not working is not training. I think that we must sense each other’s power precisely when training so that we can develop together and knead our bodies. Q: The word “knead” (練る) is also used in arts like Chinese Kempo (*Translator’s note: often in the sense of “temper” or “harden”), how do you understand the meaning here? A: For example, something that you would want to knead, like a rice cake. We take the individual grains of rice, knead them and knead them, and make them into a sticky rice cake. Human beings bodies are the same way, one takes the disparate pieces and kneads them through Aikido practice until a soft, strong, unified body is made, that is the image. For that reason, one ought not to think about controlling some joint in training – I think that it is important that both the uke and the tori use their entire bodies, sense each other’s power, and knead each other. Q: That’s a very easy to understand example. 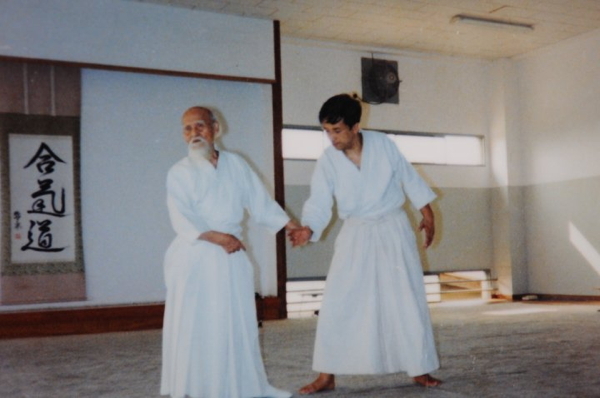 A: That was one of O-Sensei’s teachings, to respect the principles of nature – in other words, not to struggle in one’s movements. When one struggles during their movements it becomes what I mentioned before, we injure each other. Also, not to make unnecessary movements. Not to make one’s training uneven. In other words, not to suddenly stop by training recklessly. I call these the “three nothings” (三無) – no struggling (無理), no unevenness (むら), as much as possible using no waste (無駄). Q: The “three nothings”? You certainly seem very relaxed, to be speaking like this. I believe that I would like to create that kind of feeling and that kind of a body. Great interview! Interesting to note the photo of baseball player Oh shows him using his sword with the opposite grip. 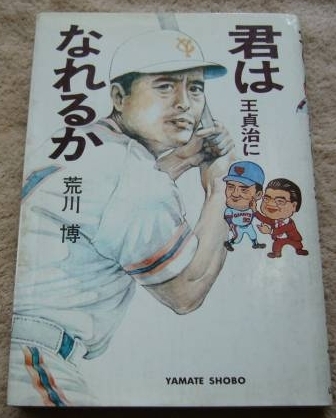 Looking at the book cover with a picture of him shows that he is holding his bat left-handed. It makes sense then for him to train the Ken using the same grip – even though it breaks with the general tradition. Good eyes! That’s right, be batted and threw left handed, I believe. 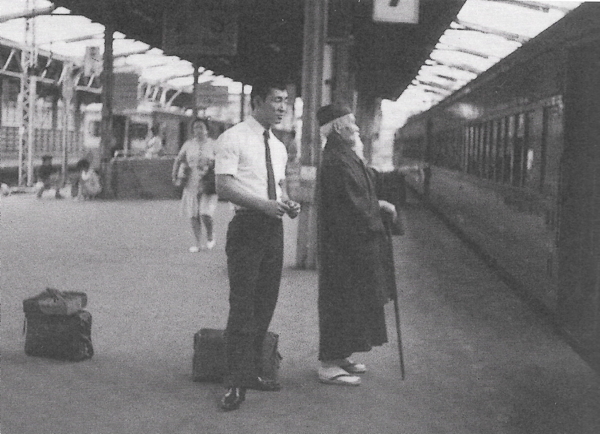 Suganuma Sensei has visited the Netherlands quite a few times. I even took his black belt exam (ten years ago). He is a very friendly and capable man. He was asked to do some calligraphy (as we knew besides Aikido he is into Zen and calligraphy). He prepared himself and the next day after class he would show his ‘drawing’ skills. Thanks for sharing this interview with a remarkable man. Your welcome Tim, I’m glad that you enjoyed it!